The northeastern state of Nagaland came into existence as a state in 1963; before that the area was part of Assam. 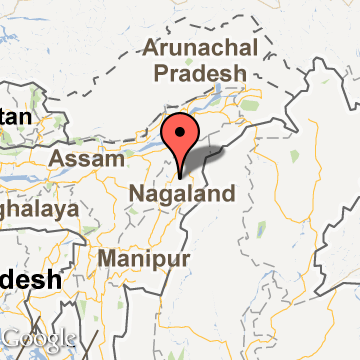 Nagaland shares its borders with Myanmar and the Indian states of Assam, Arunachal Pradesh and Manipur. Most of the region of the state is mountainous. The highest peak is Saramati at 3840m, in Twensand district. The main rivers are Barak, Doyang, Dhiku and Chinwin. Nagaland is inhabited by 16 major tribes, which have their distinct festivals, language and dress. Primary among these are the Angamis, Sernas, Aos, Konyaks and Rengmas. Though animist by tradition, almost 96% of the population has embraced Christianity due to the presence of missionaries since British colonial times. Nagaland is known for its festivals most of which are based on the agricultural cycle. Moatsu festival of the Aos marks the end of sowing and is celebrated early in May. Sankarni Puja of the Zemis is also famous; it coincides with the Hindu festival of Shivaratri and lasts over a week. Naga tribes are also famous for their skills in basketry, weaving, woodcarving and bead work. 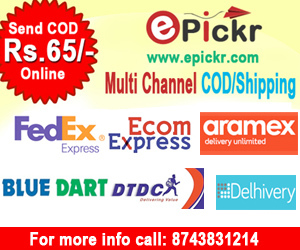 Kohima is the capital of Nagaland but Dimapur is the largest city and commercial centre of the state, well connected by air and rail. Dimapur was the capital of the ancient 13th-century Kachari kingdom. Kohima has a famous World War II cemetery and an interesting anthropological museum. The Barar Basti in Kohima is a traditional village with old houses and ceremonial gateways. The Dzokou valley is replete with flowers from June to September and is a good place for rock climbing. Jafpu Peak, 3048m high, is a trekking destination. The Intanki Wildlife Sanctuary is close to Dimapur and noted for many animal and bird species including the hoolock gibbon and sloth bear. All foreign tourists to Nagaland require a Restricted Area Permit from the home ministry of India.